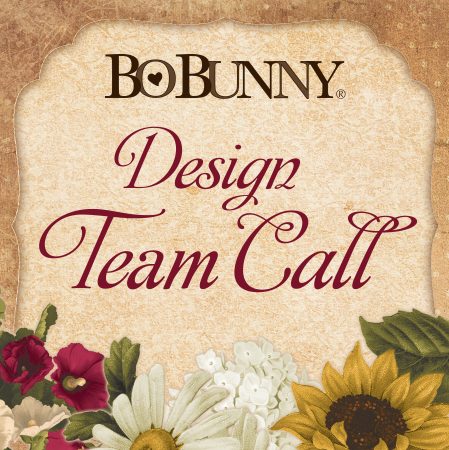 We are thrilled about your interest in applying for the 2019 Bo Bunny Design Team! One paragraph introducing yourself. Please answer the following questions: What is your name and hometown? When did you start scrapbooking? How you would define your personal style? 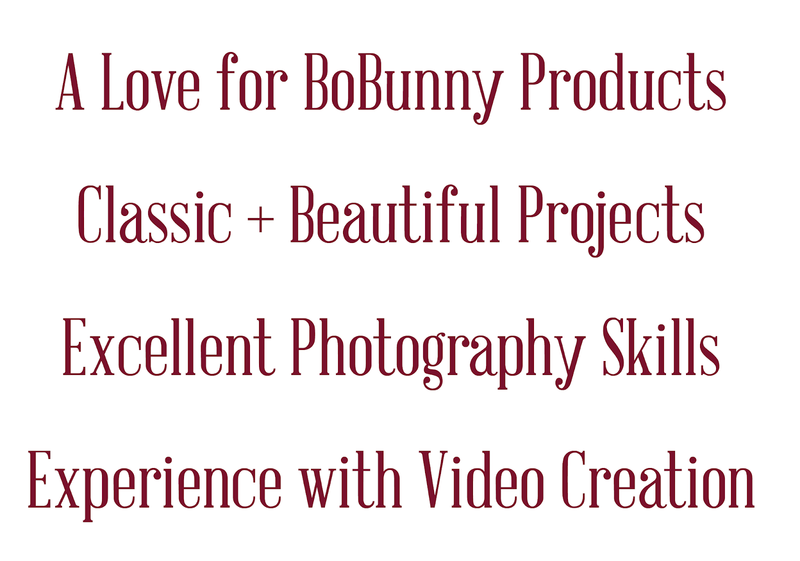 What do you love about BoBunny? Are you on any other design teams? A link to your gallery, blog or portfolio. Simply include the link with your application. 1 Youtube Tutorial Video. This can be a link or attachment to a scrapbooking tutorial video you have created. The deadline to send applications is Sunday, November 4, 2018. The new team will be notified via email during November 2018. International applications will be considered. Questions? Email bbsocial@americancrafts.com. Good luck!